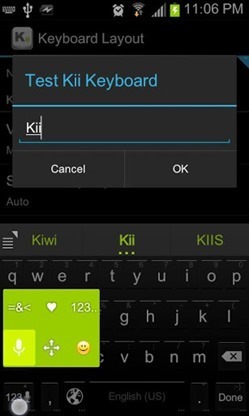 Hi guys if you facing any problems by using the popular android keyboards like Swype, Swiftkey and you are searching for some other better keyboard then the Kii will be definitely useful for you. This will be more useful not only in smartphones but in the tablets too due to split keyboard feature. This Kii keyboard brings all the best features under one roof. Interestingly, this Kii keyboard supports 34 languages. So, if you want to try out this keyboard then download it from the Google Play Store and tell us how it works?